Myprotein is a UK-based sports nutrition brand. Myprotein offers protein powders, amino acids, and more to help you get the most out of your body and your workout. With Big Apple Buddy’s personal shopping service, you can now buy any of Myprotein’s products from the USA Myprotein online store anytime, anywhere. If you’re looking to boost your protein intake, Myprotein offers a variety of protein powders to choose from. 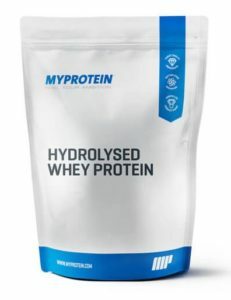 Try Hydrolyzed Whey Protein for maintenance of lean mass and growth. It has a whopping 25.5g of protein per serving! 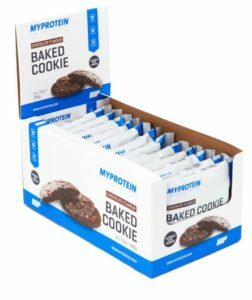 Myprotein also makes high-protein snacks. Baked Cookie is the perfect on-the-go snack for the health-conscious chocolate lover. Baked Cookie is vegan, healthy, and sure to satisfy your chocolate craving. It has 13.9g protein per serving to boot. Already a Myprotein fanatic? Rep your favorite nutrition brand in your Myprotein Training Outfit. The outfit includes a matching hoodie and shorts and comes in black, charcoal, and khaki. The lightweight and fitted fabric makes this outfit perfect for your workout routine. 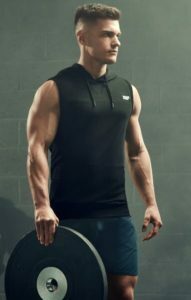 Myprotein has online stores for the US and Europe, but unfortunately does not offer international shipping to all countries. Does Myprotein not ship to your country or not accept your international credit card? Not to worry! Big Apple Buddy, your personal shopper, can help you buy products from the USA Myprotein online store and ship them to your doorstep, no matter where you are in the world. We offer international shipping to over 110 countries including Australia, Austria, Azerbaijan, Bahrain, Belgium, British Virgin Islands, Brunei, Bulgaria, Canada, Chile, Costa Rica, Croatia, Czech Republic, Denmark, Estonia, Fiji, Finland, France, French Polynesia, Germany, Gibraltar, Greece, Greenland, Hong Kong, Hungary, Iceland, Indonesia, Ireland, Israel, Italy, Japan, Jordan, Kuwait, Latvia, Liechtenstein, Lithuania, Luxembourg, Macau, Malaysia, Maldives, Malta, Marshall Islands, Mauritius, Monaco, the Netherlands, Netherland Antilles, New Zealand, Norway, Oman, Poland, Qatar, Romania, San Marino, Saudi Arabia, Serbia and Montenegro, Seychelles, Singapore, Slovak Republic, Slovenia, Spain, South Africa, St. Lucia, Sweden, Switzerland, Taiwan, Thailand, the UAE, the UK, Vatican City, and Vietnam. If you would like to buy from the USA Myprotein online store, simply let us know which items you would like to order (by filling out the form below) and we’ll get back to you with a free international shipping quote within 24 hours!